It’s back to look at Big Generator in a mini-series this week. Firstly, I consider some of the things the musicians said about the album afterwards. Was this an easy album to make? Was the band overflowing with material? Was it a harmonious, easy process? Rockhall.com to vote for Yes! Another fantastic episode. While it’s far from my favorite YES album. .this episode made me pull out the record and give it another spin. Personally I feel this record is a poor follow up to the mighty 90125…but it does have some great songs. “Shoot Hight Aim Low” and “Love will Find A Way” are stand out tracks…but I was surprised with” Final Eyes” and “Big Generator” as they seem to sound better then I remember. I’m not surprised with the tension between Chris and Jon…Big Generator doesn’t seem like a record that Jon had much of a stamp on. But it’s a good Trevor Rabin album. Anyways..keep up the great work and I look forward to part 2. Thanks Mark. Lots more to enjoy than I realise every time I listen! I was glad to see you revisiting Big Generator. This was the album Yes had out when I first became interested in Yes – a very odd gateway record into the world of Yes, but one that I fell in love with enough to become a lifelong fan. I hadn’t owned a copy for quite awhile, having convinced myself that I could live with just the tracks on compilations. 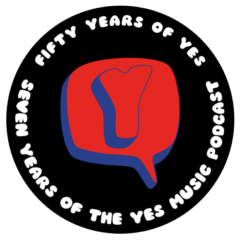 I only recently went back and filled in the gaps of my Yes collection, including this one, and was surprised how much I really really enjoyed it – I’d always assumed my enthusiasm for it was just misplaced nostalgia. Not so. I felt, then and now, Yes of the era was a far more cerebral alternative to the likes of Bon Jovi and Poison. So when people say it’s nothing more than standard 80s arena rock, I’d say that really isn’t the case. Ever since I reacquired this little gem in their catalog, “Final Eyes” has moved up to become one of my favorite Yes songs – and indeed, one of my current most-listened to songs, period. I’m looking forward to next week’s episode, where we can hear not only how your thoughts may have changed since your earlier BG podcast, but how your opinions might reflect my own. Can’t wait! Thanks Chris. I wonder if Big Generator will still be listened to in future decades. As you say, it has much more right to than a lot of the 80s dross! 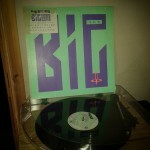 I suspect Big Generator, for all its virtues, will not be one of their more enduring works. But I guess if you start with BG as your baseline for how awesome Yes can be, you can’t help but be blown away by the rest of their albums. I now think of albums like BG as the equivalent of comfort food. It’s not prime Yes, but it’ll tide you over. Not the greatest thing you can say about an album, but it has enough of traditional Yes values to be entertaining if not transcendent. Nice! Entertaining if not transcendent. Something interesting about ‘I’m Running’ (the best track off the record, in my opinion) is that it’s genesis lies many years before. When Anderson and Wakeman left Yes in 1979, Squire, Howe and White went in to Townhouse Studios to work out arrangements for the music that would partly end up on Drama. There were, however, other titles. One of these titles (the only not to be officially released somehow) is known as ‘Satellite’. To add to the confusion, Rhino labelled ‘Song Nº 4’ ‘Song Nº 4 (Satellite)’ on the 2004 Drama reissue, even though they have nothing to do with each other. Anyway, this piece featured the bass riff later used in ‘I’m Running’! Ah yes! I had completely forgotten about that! It’s fascinating how many tracks we think of as Rabin or Anderson etc. actually grew out of completely different set ups! Thanks for the comment! Kevin I need to correct a detail from your podcast. 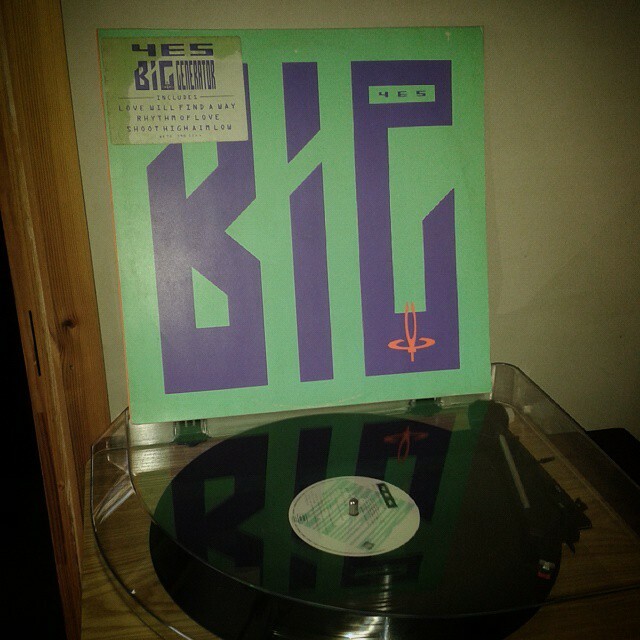 Big Generator is not in my top ten. Still, I’m glad my placing it in around 14 stirred you to revisit it for another review. Good episode! Here’s a coincidence. M-A K reviewed Animation, guess what was on my record deck the week before. Yes, that very album. As usual I agree with his comments. After listening to the podcast today I had the line “Eventide delay, digital delay” going through may head for the rest of the morning. Eventide was an early digital delay unit used in studios and on stage. Oops sorry Jeremy. Amazing how we fans are often in some kind of synchronicity! I better confess I haven’t heard Animation…better rectify that! Interesting choice of albums to dive into. I have to say that the Rabin era is my least favorite Yes period and BG is my least favorite Rabin album. I know a lot of new fans came to Yes via 90125, but it all sounded just too pop and polished to me. I wrote a long sarcastic review of this album some years ago that I won’t burden you with. I just want to make one observation. I don’t know if there is any way to access the old Notes From the Edge posts. But NFTE #270 contains an interview with Mr Rabin in which he concedes that Final Eyes sounds a lot like Journey. Journey is a San Francisco Bay Area band that, to me, is the epitome of corporate commercial pop rock. So, I have to say, “you heard it from the man himself.” Hope you can dig up that reference. I plan to give BG a new listen just for old times’ sake. Maybe I’ll hear something I like. Thanks Guy! I don’t know a lot of Journey so maybe I should give it a go if it’s like Final Eyes!